The creation of Euphoria Yoga is the realization of a long standing dream envisioned by the founder of Euphoria Yoga, Corinne Gervai, upon graduating from the world renowned Jivamukti Yoga School in 2000. Joined by an outstanding group of devoted, well trained and experienced Yoga Teachers with a unified vision of service, Euphoria Yoga has come into being, here now. The Euphoria Yoga studio is an inviting, intimate sacred space in which the physical and mystical aspects of Yoga are practiced and explored. 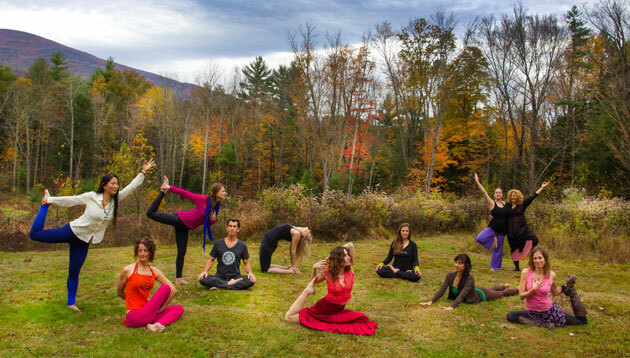 Euphoria Yoga founded in 2009 is located in the heart of Woodstock New York and is committed to creating and serving the community with open hearted dedication. We are here to inspire you with the transformative power of the Yoga teachings on your journey to the realization of your fullest potential.